Dont miss out! 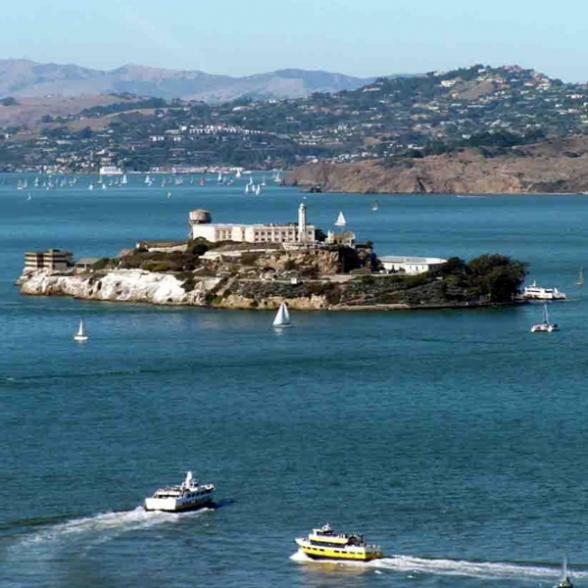 This unbelievable ticket gives you access to all the sights of San Francisco as well as the infamous Alcatraz Island! Enjoy a fully guided 1.5 hour tour of San Francisco's most famous sites, with unlimited hop on and off privileges up to 48 hours from your first ride! Stops Include: Fisherman's Wharf – Located on the northern waterfront, this wharf is best known for Pier 39, San Francisco Maritime National Historical Park, the Cannery Shopping Center, Ghirardelli Square, and the Wax Museum. Ferry Building - Here, a Farmers Market is held twice each week and offers produce and flowers from small regional farmers and ranchers, many of whom are certified organic.A wealth of other products include regional artisan specialties such as breads, cheeses and jams. Union Square - The central shopping district in San Francisco, featuring Macy's, Tiffany's, Neiman Marcus, Victoria's Secret, and Saks Fifth Avenue. Chinatown Gate - The dragon gate on Grant Avenue at Bush Street (installed in 1969) is a gift from the government of the Republic of China (Taiwan). North Beach - This is a primairaly Italian neighborhood, with over 30 authentic Italian restaurants and cafes. It is also conveniently located in the northeast part of San Francisco, adjacent to Chinatown and Fisherman's Wharf. Ticket to Alcatraz - see for yourself what it was all about! See the city from atop an authentic English Double Decker Bus!